The staff at the MD Anderson Cancer Center has a long history of treating mesothelioma patients and is exclusively a cancer treatment and research center. This means that the doctors employed by MD Anderson are leaders in their fields with more experience than most other doctors who are not focused solely on rare forms of cancer. This level of expertise is a tremendous asset when dealing with an aggressive form of cancer like mesothelioma. MD Anderson is one of the leading cancer research centers in the country. It receives the most research grants from the National Cancer Institute out of all other centers in the country. This allows the doctors and scientists at MD Anderson to conduct a wide range of experiments in the hopes of developing new treatment methods for rare cancers like mesothelioma. Since the MD Anderson Center focuses on clinical trials and the development of new more effective treatments, these treatments are available to patients sometimes several years before they become standard treatments. The MD Anderson Cancer Center offers a wide range of support for patients undergoing treatment. They offer complementary therapies to help promote the healing process, which includes yoga, meditation, and other pain and stress-reducing activities. The MD Anderson Center also offers counseling and support groups, as well as educational resources to help patients and their families cope with their mesothelioma diagnosis and understand their options. The MD Anderson Cancer Center is one of the most highly respected institutions with a focus on treating mesothelioma cancer and was ranked as the No.1 hospital in the nation by U.S. News & World Report. Why Choose MD Anderson Cancer Center? Dr. Tsao is the director of the mesothelioma and thoracic chemo-radiation programs at MD Anderson Cancer Center in Houston, Texas. She specializes in the treatment of pleural mesothelioma and other thoracic cancers. Her work with the MD Anderson Cancer Center is centered around improving life expectancy for her patients through new multimodal treatments and clinical trials. Since mesothelioma is such a rare disease, it can often be difficult to receive personalized treatment for a patient’s unique diagnosis. Novel treatments have been developed in part by the work done by Dr. Tsao and other specialists in the field and they have found that a multimodal approach is often the best course of action. Combining surgery and other treatments like radiotherapy, immunotherapy, and chemotherapy can significantly improve a patient’s prognosis. Dr. Tsao is also currently leading several clinical trials in an attempt to develop more successful treatments, specifically a more effective chemotherapy. Two of her previous trials, which had their results published in 2013, suggested that the use of systemic chemotherapy like (Almita and Cisplatin) in combination with two novel drugs slowed, and in some cases inhibited the growth of cancerous cells. The two novel drugs that were used in conjunction with the traditional chemotherapy drugs were imatinib and cediranib. While the trial involving imatinib did not produce favorable results, the trials conducted with cediranib showed promise and are being investigated further by Dr. Tsao and other researchers at MD Anderson. 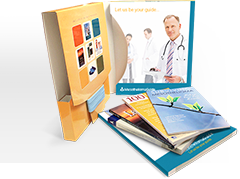 Is MD Anderson Right for You? Our team of patient advocates are knowledgeable about these facilities and can help you find the right cancer center for treatment based on your unique diagnosis. 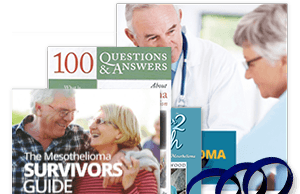 Contact a patient advocate at 1-888-385-2024 to get in touch with the MD Anderson Cancer Center, or get a complete list of treatment centers in our free Mesothelioma Guide. Why MD Anderson?. University of Texas MD Anderson Cancer Center. Retrieved from: https://www.mdanderson.org/patients-family/becoming-our-patient/why-md-anderson.html. Accessed: 10/10/18.